If I ever wrote a fanfic (and I'm not saying I will), it would be about the Teenage Mutant Ninja Turtles, although they wouldn't be teenagers any more. They'd be middle-aged, living separate lives. 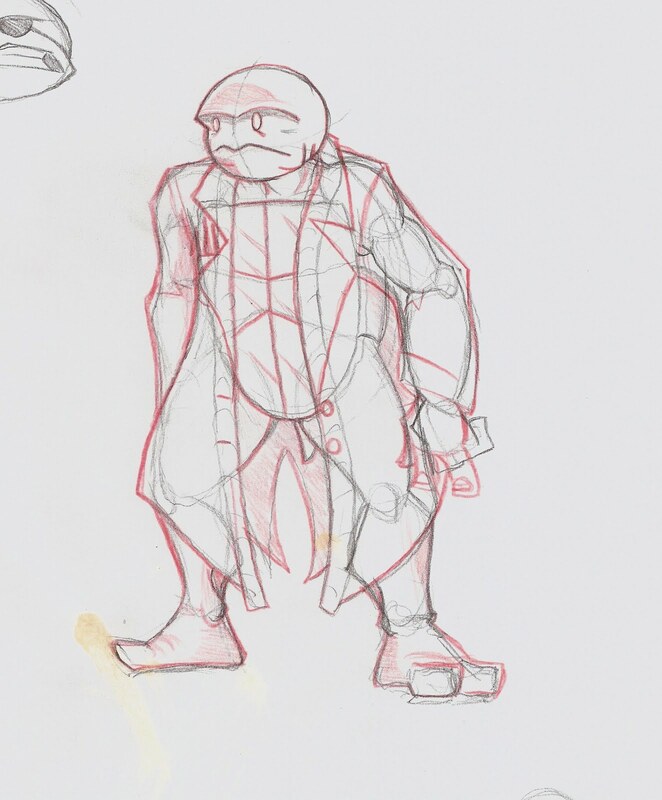 Donatello (above) would found a successful tech engineering firm, specializing in cybernetics. 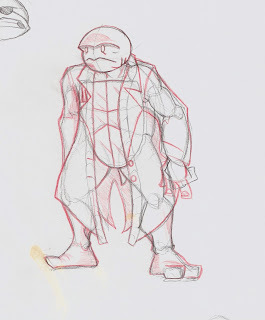 I have ideas for all four turtles, and as I come up with designs for each one, I'll post them here. Do you readers like the simplified head? Does it still read as a Ninja Turtle? I dig it. Except that I thought the turtles had kind of a snout thing going on. Head looks like the thing to me not a ninja turtle.